A must tour during winter. 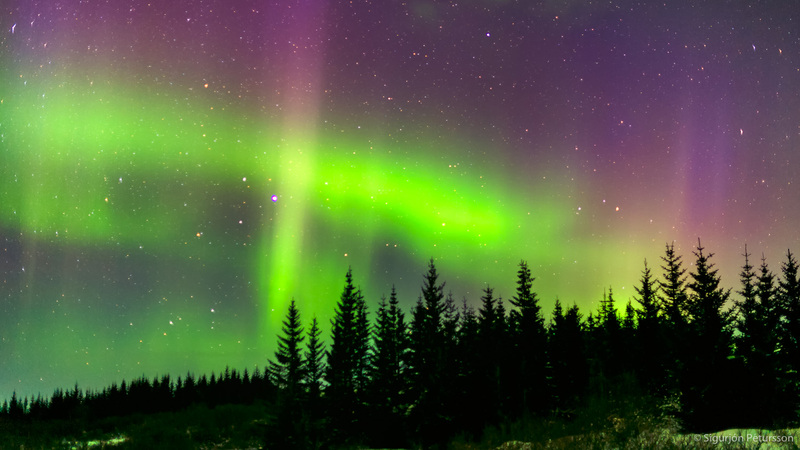 The Northern Lights can be photographed from the middle of September until the end of March. We begin this tour with a short lecture on the technical and compositional aspects of Aurora photography. What equipment is necessary, how to configure your camera, composition, foregrounds, backgrounds etc. Then we head out to hunt for the Northern Lights. The bright lights are actually collisions between electrically charged particles from the sun that enter the earth’s atmosphere. 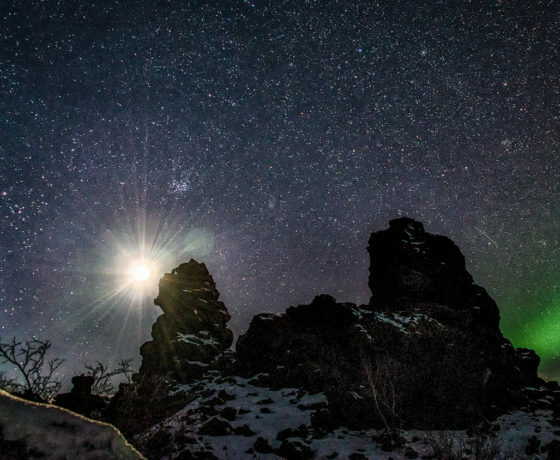 The lights are seen above the poles of the northern and southern hemispheres. 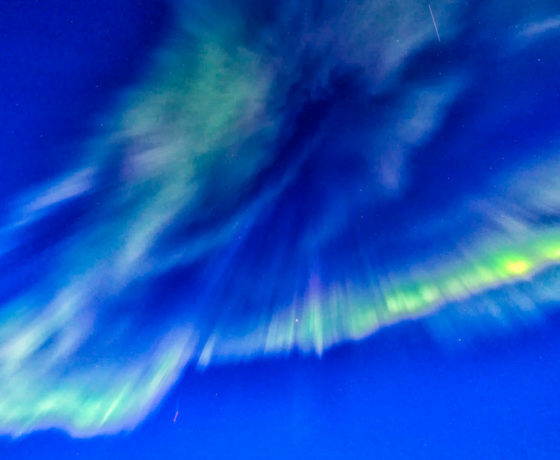 They are known as “Aurora Borealis” in the north and “Aurora Australis” in the south. 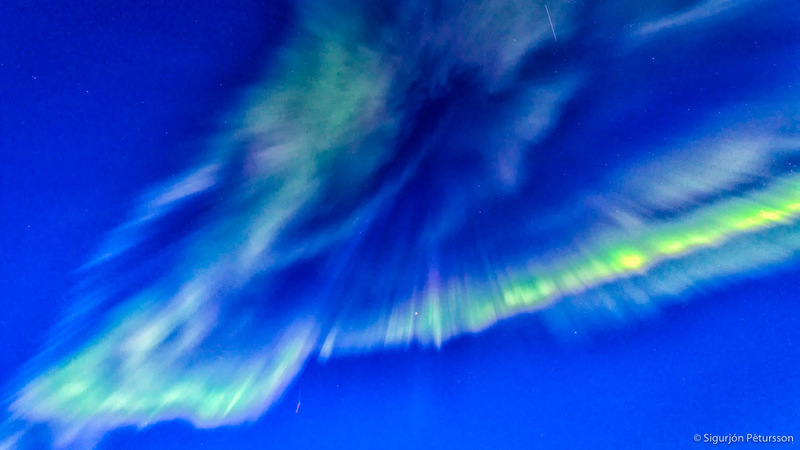 Aurora displays appear in many colors although pale green and pink is the most common. 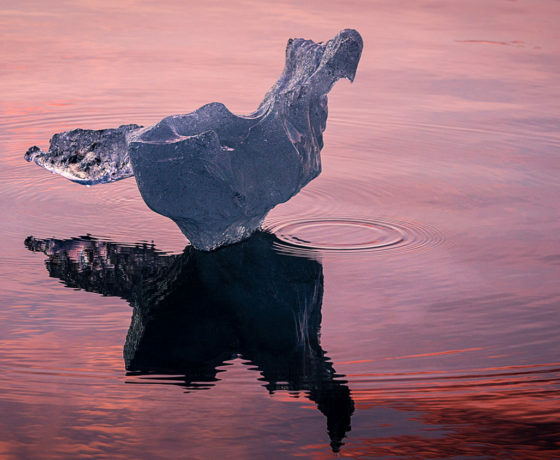 Shades of red, yellow, green, blue, and violet can also appear. The lights have many forms i.e. patches or scattered clouds, streamers, arcs, rippling curtains or shooting rays that light up the sky with an eerie glow. Remember to dress very warm. Bring all the warmest clothes you have. 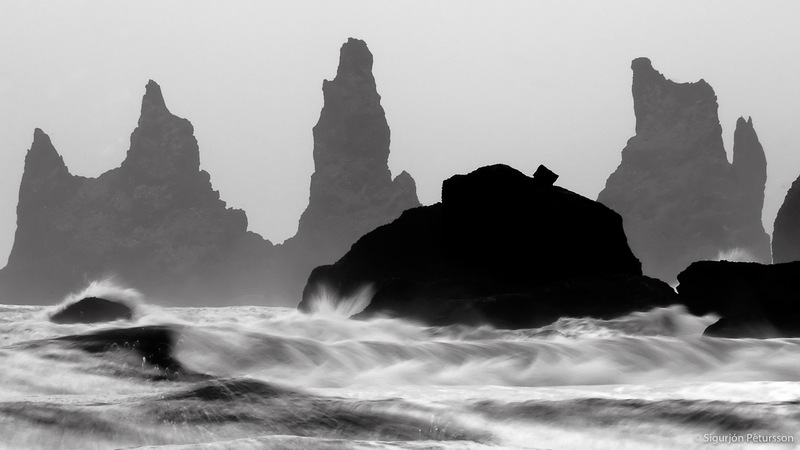 Besides the Northern Lights we will photograph landscapes on the south coast of Iceland i.e. 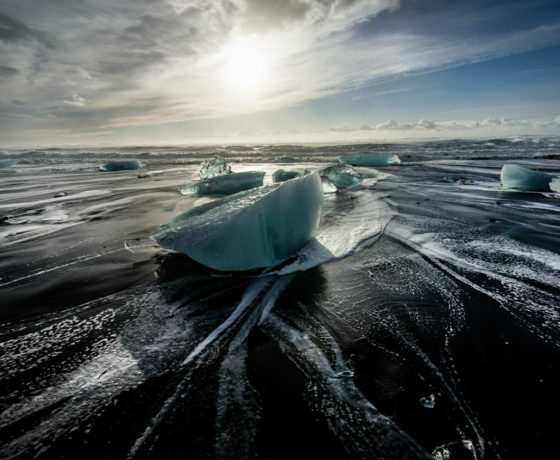 waterfalls, black beaches, rock stacks, ice caves as well as the famous Jokulsarlon glacial lagoon with its icebergs floating on the lagoon as well as on the black beaches. 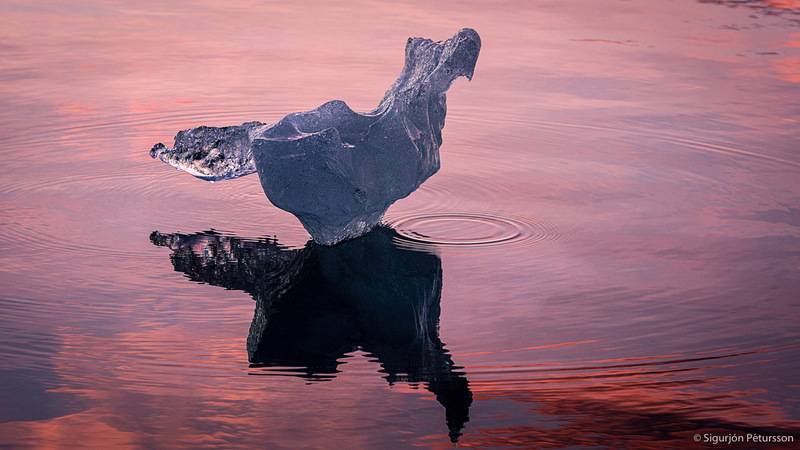 Get on perfect 5 days private Iceland Photo Tours. Our highlights and focus on this tour. 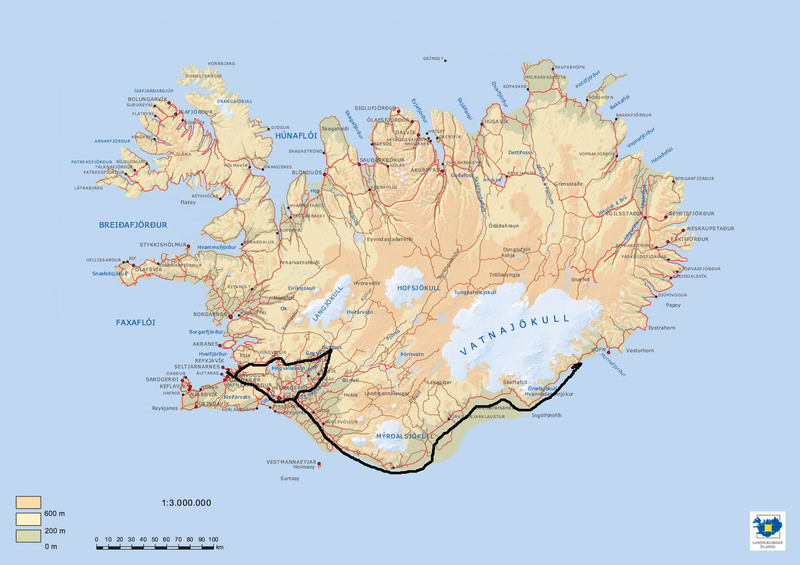 After pickup at your hotel we leave the Reykjavik area for the village of Vik. 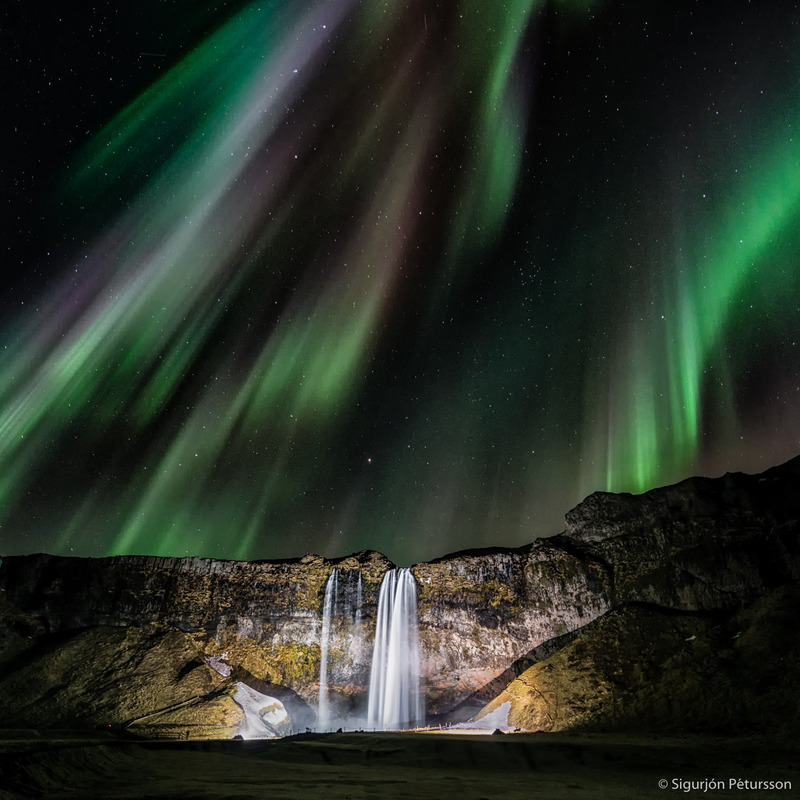 We photograph the waterfalls of Seljalandsfoss and Skogafoss as well as some secret ones. As we photograph during the day we prepare to come back in the evening hunting for the Northern Lights. 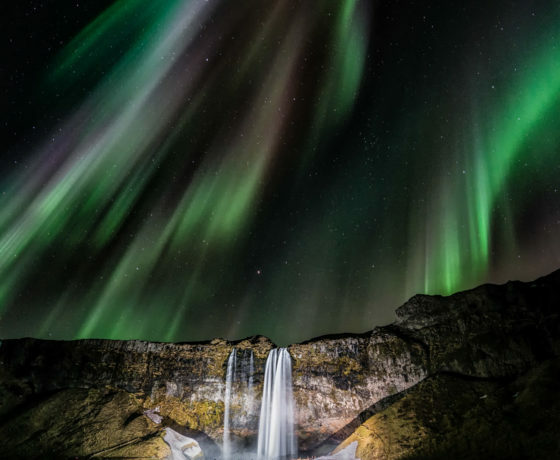 Seljalandsfoss is one of the most famous waterfalls in Iceland. It is very picturesque and therefore its photo can be found in many books and calendars. It was a waypoint during the first leg of The Amazing Race 6. This waterfall of the river Seljalandsa drops 60 meters (200 ft) over the cliffs of the former coastline. It is possible to go behind the waterfall. 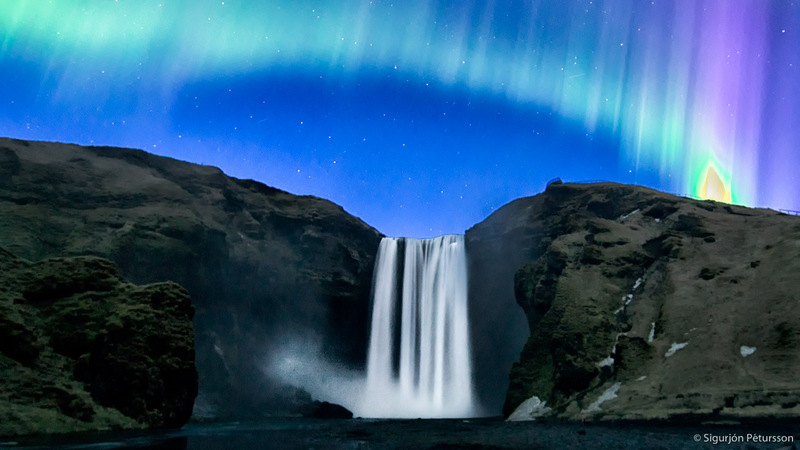 Skogafoss is one of the most popular waterfalls in Iceland and is in the top 5 largest in the country. Huge amounts of glacial melt-water cascades over its huge cliff it’s water coming from two glaciers. 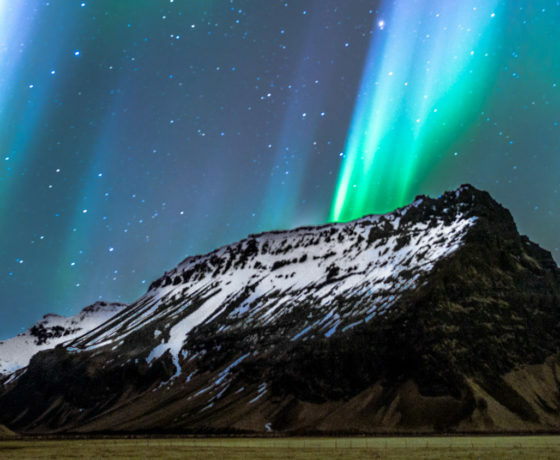 Overnight in the Vik area. 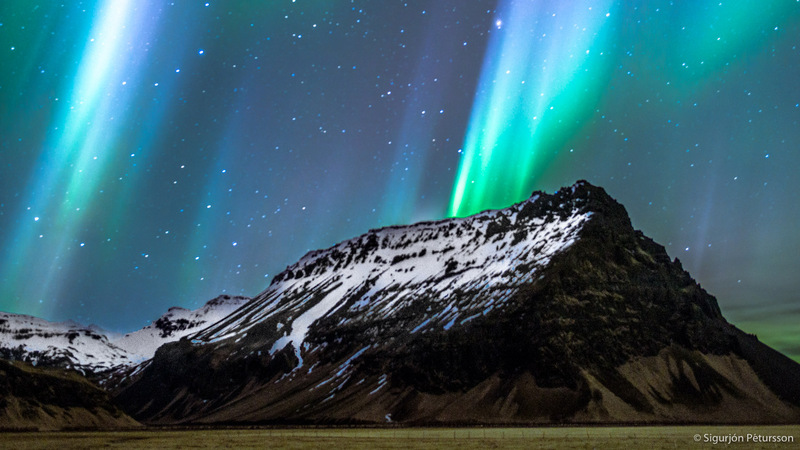 Northern Lights in the evening. We use the photography during the day in order to prepare for the coming evening and night when we come back to these locations for the Northern Lights. 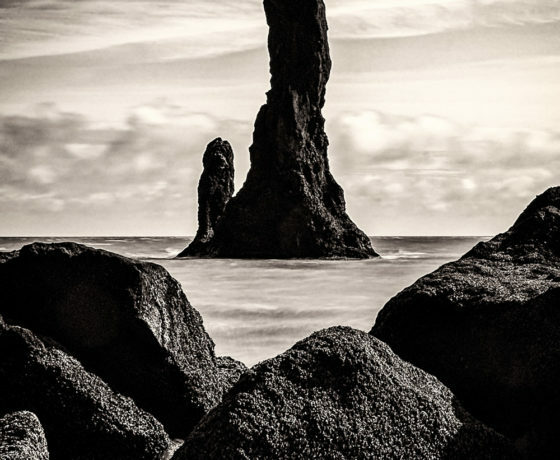 Possible sites to photograph are the Hjorleifshofdi rock island on the coast with its cave and surrounding black sandy beaches. 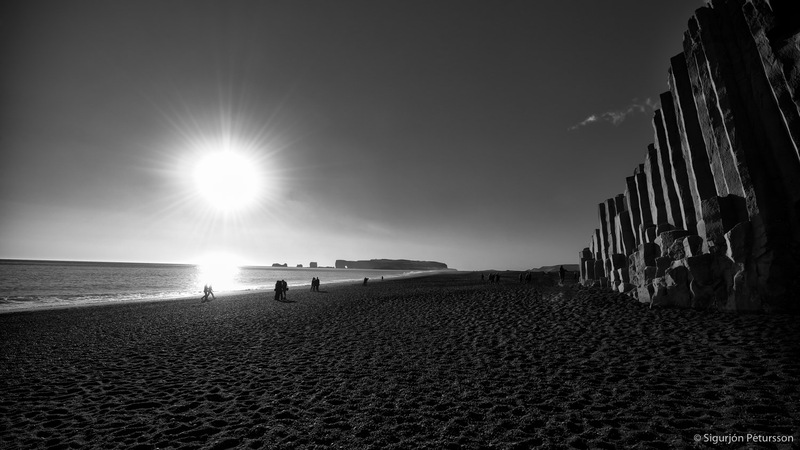 The enigmatic black beach of Reynisfjara is located just a few minutes outside of Vik village. 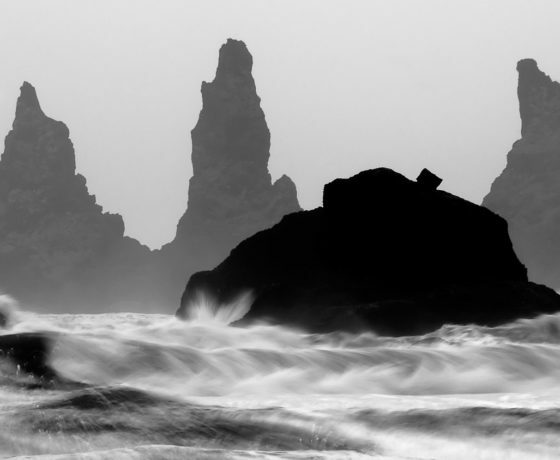 It features amazing cliffs of mesmerizing basalt columns, and is one of the most heavily photographed and documented sites in Iceland, mostly because it is home to the mysterious Reynisdrangar rock stacks that protrude out of the stormy North Atlantic Ocean. 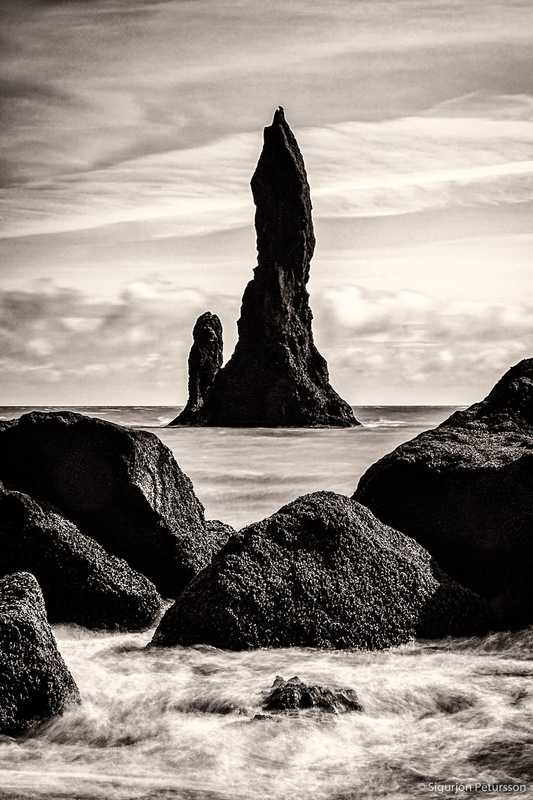 Rumour has it that the stacks originated when three trolls, pulling a three-masted ship to shore, were petrified and turned into needles of rock after being caught by surprise at dawn. A spectacular rock arch is located nearby at Dyrholaey, a 120 meter-high promontory with amazing views. 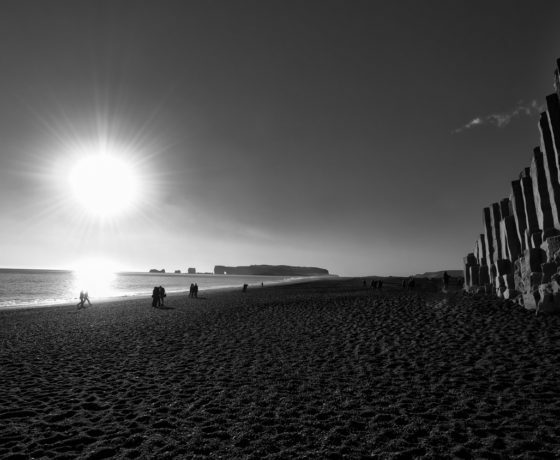 Note: Please keep a safe distance from the shore at the Dyrholaey beach and Reynisfjara beach, as the currents are very strong and larger-than-normal waves occasionally wash ashore. 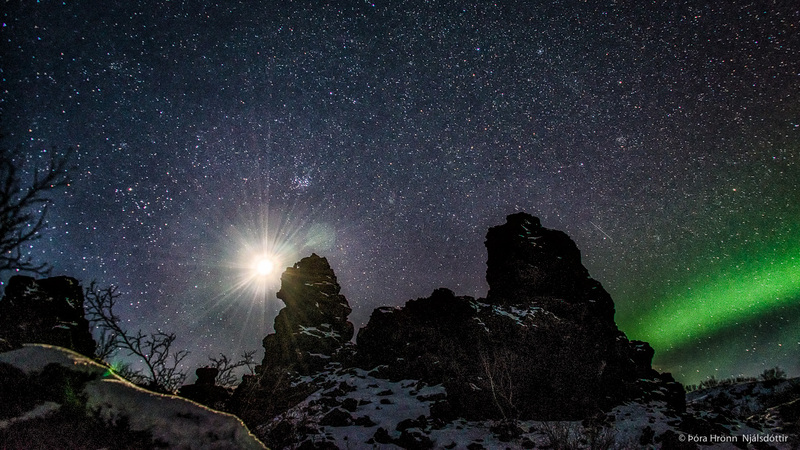 Overnight in the Vik area. 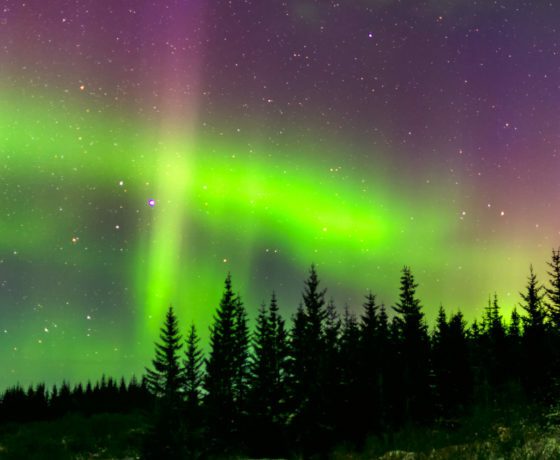 Northern Lights in the evening. 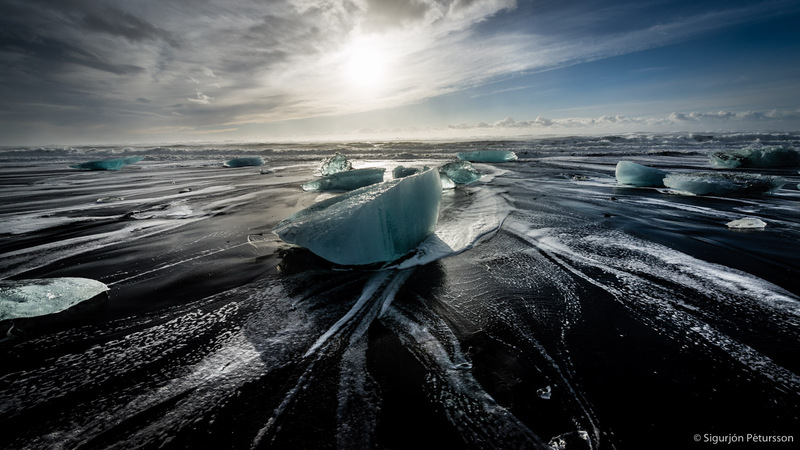 We drive to the southeast part and photograph during the day and then hunt the Northern Ligths at the Jokulsarlon glacial lagoon in the evening. 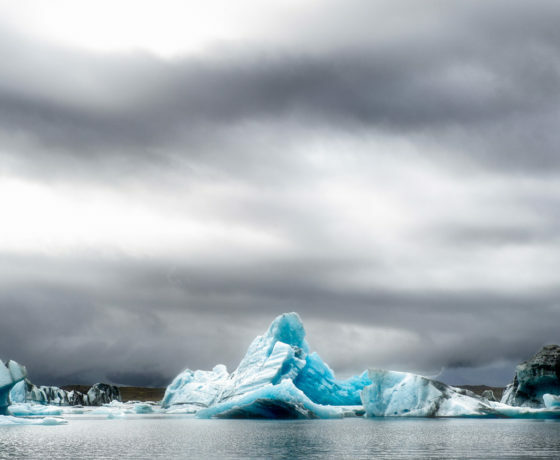 Let us hope for Northern Lights above the icebergs floating in the lagoon. 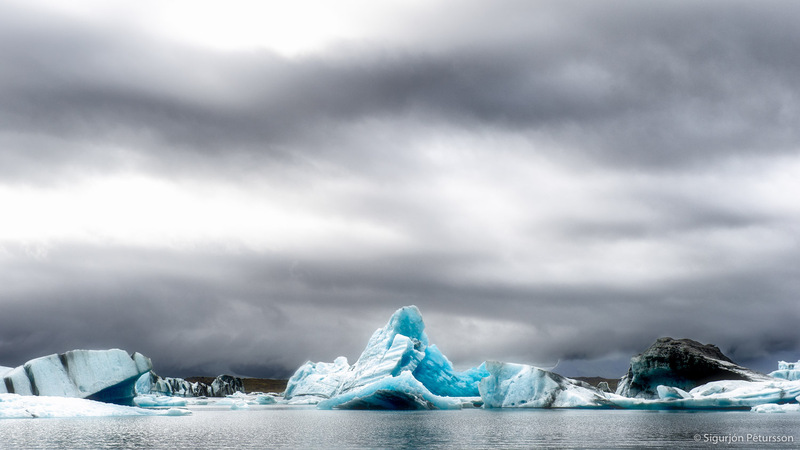 Overnight in the Jokulsarlon area. 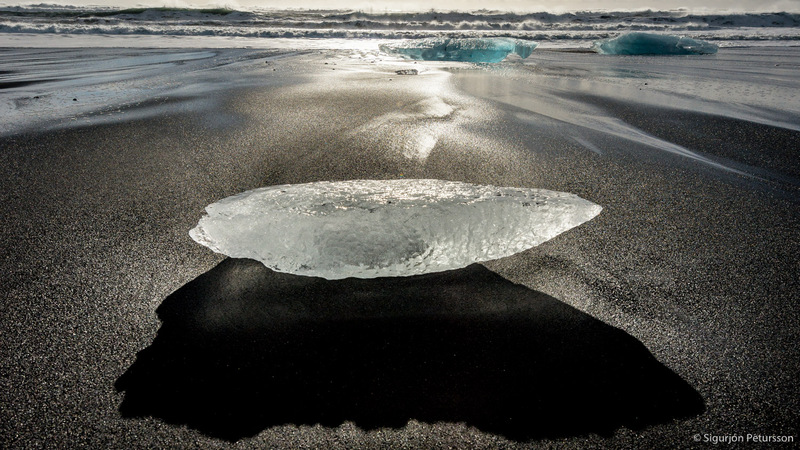 We continue photographing in the Jokulsarlon glacial lagoon area and visit an ice cave if possible. 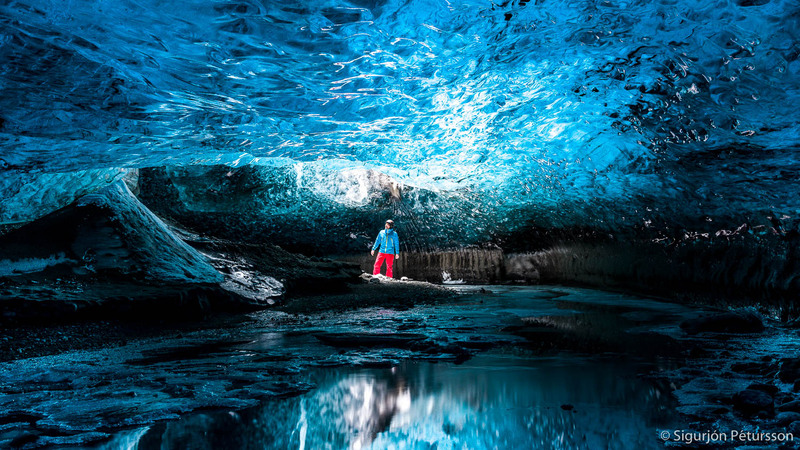 Sometimes called Crystal Caves, the ice caves in the icelandic glaciers are a truly mesmerizing wonder of nature. 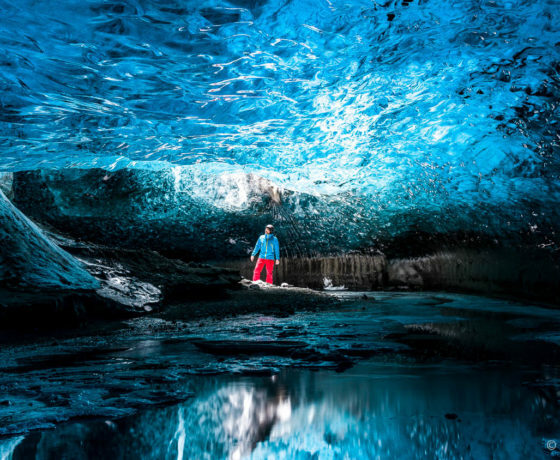 Visiting an ice cave will be totally unlike anything you’ve done in your travels. The caves’ blue glassy ice roof and snow carry us into a fantasy realm that has only been visited before in dreams. 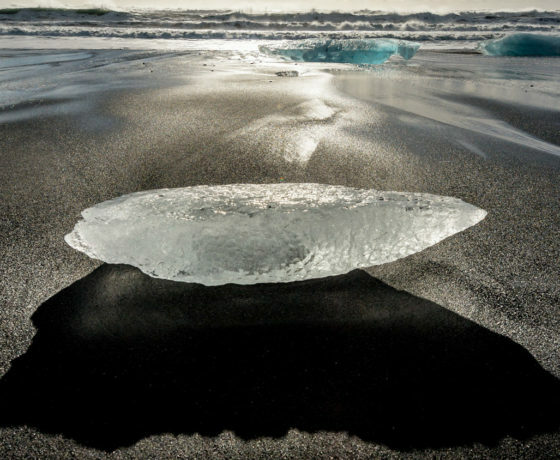 After that we go to photograph the icebergs on the black beach called The Diamond Beach by some people. Evening photography. Overnight in the Jokulsarlon area. 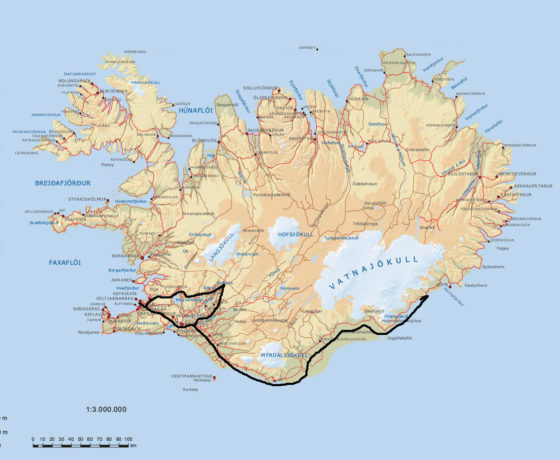 This day we start heading back to Reykjavik stopping on the way in locations depending on the weather and our mood. 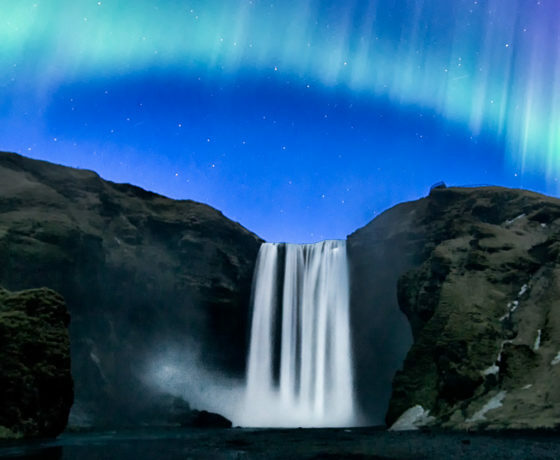 We have possibilities like the Gullfoss waterfall i.e. the Golden waterfall, Geysir hotspring and Thingvellir NP. Overnight in Reykjavik. Four nights in double rooms with private facilities were available including breakfast. Picnic lunch during the day. Dinner and drinks excluded. Private tour. Only you and your party, no one else. As this is a private tour we can change the schedule if you have special wishes as to locations, length of tour etc.